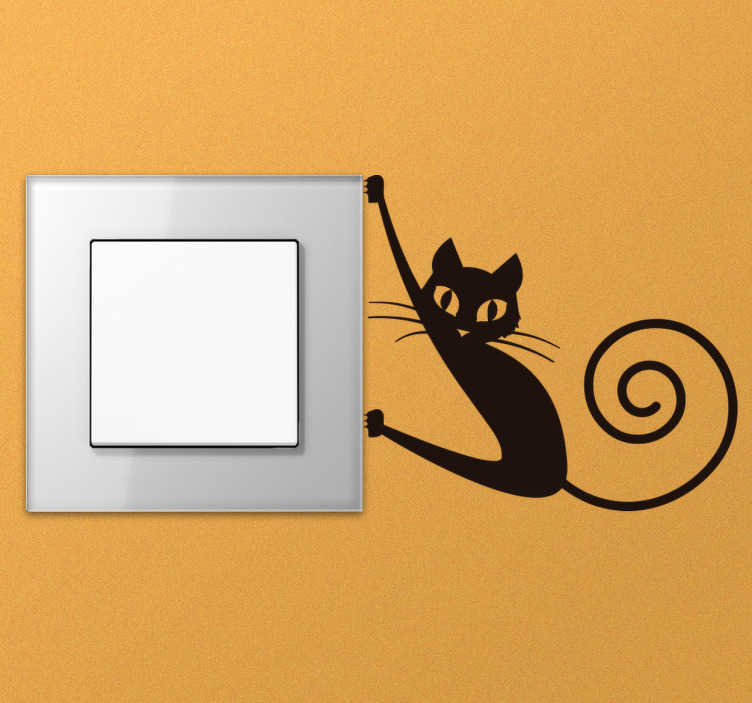 Funny cat light switch sticker showing a silhouette of a cat trying to cling on to the side of the light switch or plug socket. Its wide eyes, whiskers and curly tail make this design a fun and unique way to decorate even the smallest areas in your home decor. Add a personal feel to the plugs in your home with the cute cat wall sticker and put a smile on the face of anyone who uses it.